Here at Skid Steer Solutions, we understand passion and hard work. 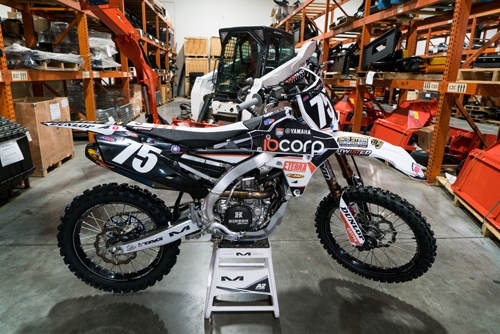 We apply both to our daily operations as the Trusted Equipment Source, and we recognize those same valuable traits in the world of Supercross and Moto Racing. Our owner and employees share deep roots in the racing realm and we are proud to announce our sponsorship of the IB Corp Racing Team. 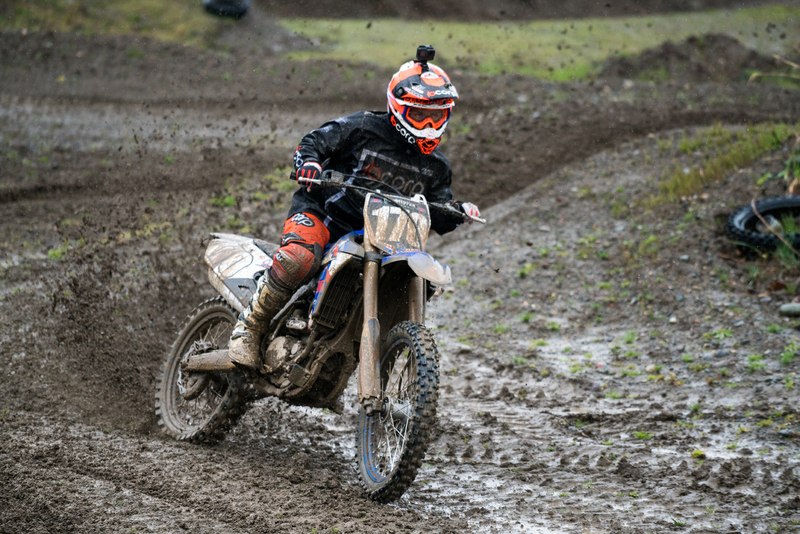 Here, you will find everything you need to know about this exciting partnership, including racing events and information, episodes of the racing competition show, Racetrack Supercross, and the story of how this all came to be. Work hard, play hard. Push your machine to the limit and get the job done. 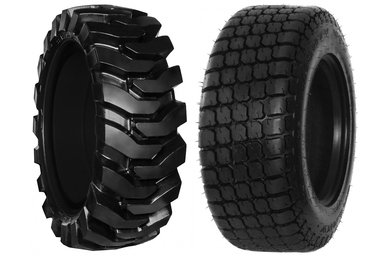 Skid Steer operators know what we’re talking about, and so do Supercross racers. That's what makes this partnership such an ideal fit. As the number one destination for skid steer, compact excavator and mini skid steer attachments, we know the value of trustworthy equipment you can rely on when it matters most. Eterra Attachments operates under the same principles, providing premium, heavy-duty tools for machine operators who can't afford to slow down. We’re proud to supply trustworthy equipment while supporting the most exciting sport on the planet. The IB Corp Racing Team is a talented collection of up-and-coming riders, who will be pushing for podiums in the West Coast Lites Division. IB Corp Racing is managed by legend and champion Ryan “Ryno” Hughes, who will be applying his trademark tenacity and racing experience towards making IB Corp a team of finalists. 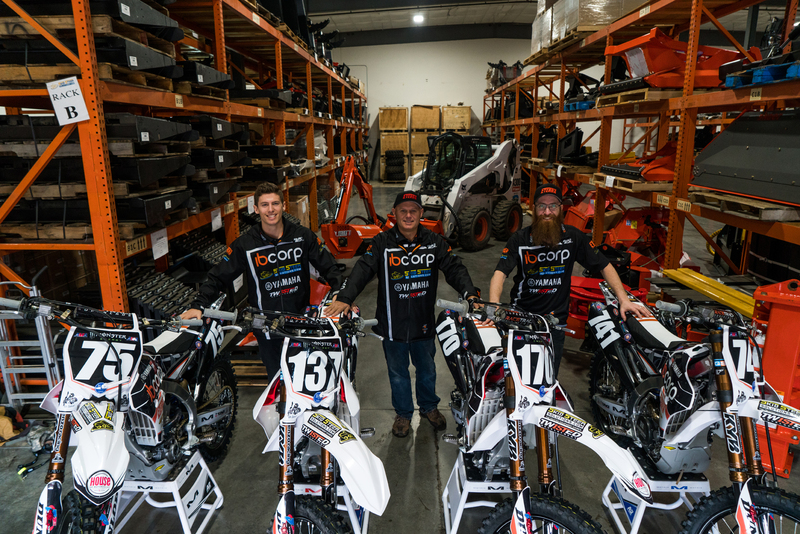 The IB Corp Racing 250SX West Region team is already stocked with accomplished riders Justin Hoeft and Martin Castello, with a third rider to be added at the conclusion of the revolutionary racing competition show "Racetrack Supercross." 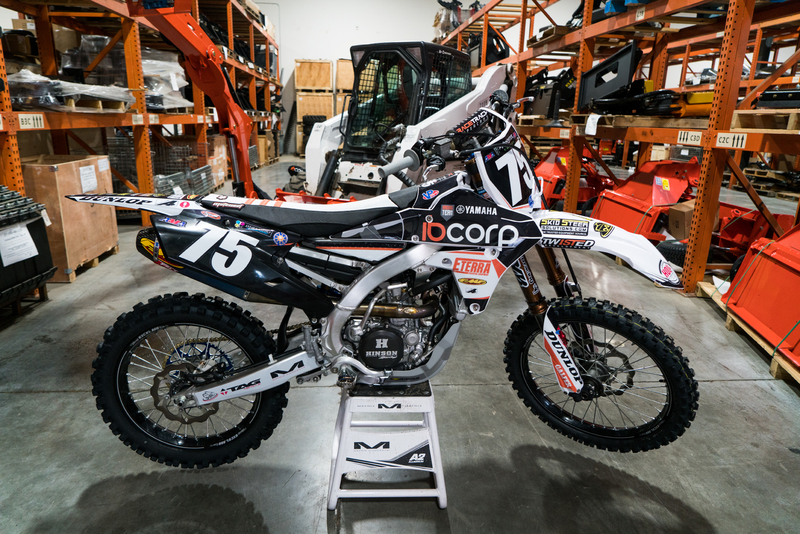 We've partnered with the IB Corp Racing Team to bring equipment operators and Supercross fans alike an incredible, first-hand account of what it takes to prepare for and compete in Supercross. Check out behind-the-scenes video, race footage, and highlights of the Skid Steer Loaders and heavy equipment that move the dirt to make these tracks the pinnacle of the sport. 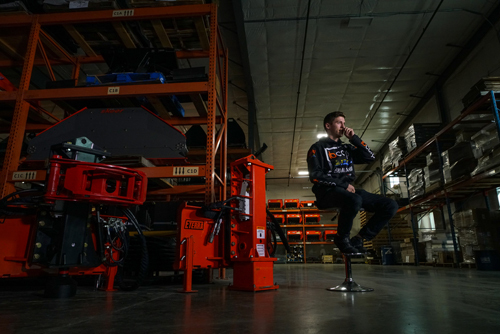 In April 2018, right before the Supercross race in Seattle, we were lucky enough to host the full IB Corp/Eterra/Skid Steer Solutions Racing Team. Our warehouse was overrun with bikes, mechanics, team managers, media, and professional riders. Martin Castello, Michael Leib, Blake Wharton and Noah McConahay were all given an up-close and personal tour of our facilities, our attachments, and our machines. 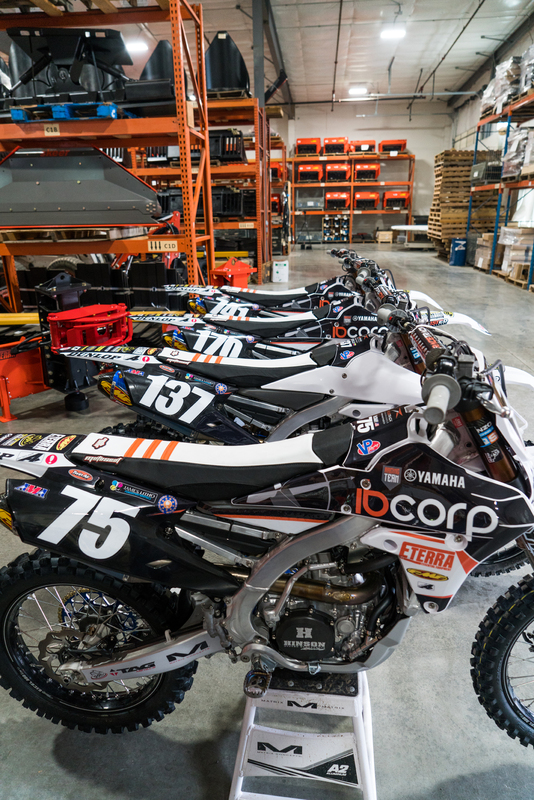 It was an awesome time for our team of Supercross enthusiasts to see how a crew of professionals prepare for a big race, and all of the attention-to-detail that is required to operate at a high level. 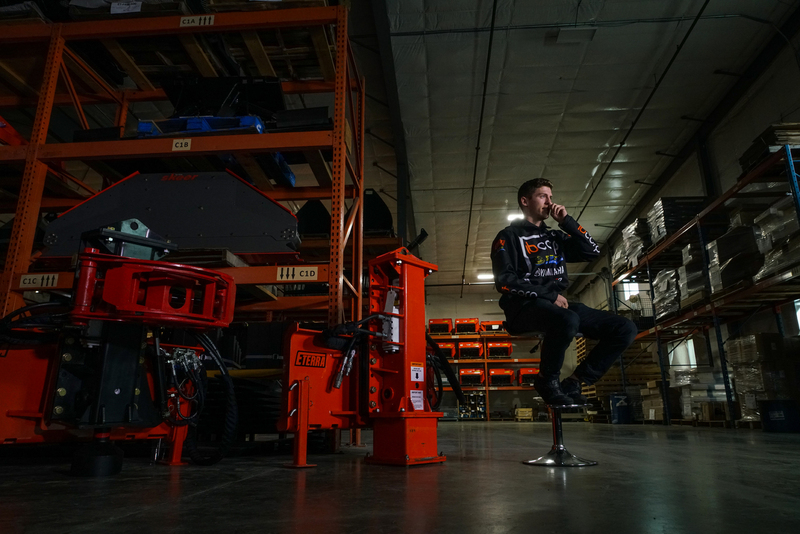 It's this same focus we strive to bring to our industry of skid steer attachments and tools, and it's heartening to see this passion exists within the IB Corp team as well. After a tour of our operation, we subjected the riders to a few interview questions, quizzed them on machines and attachments, and snapped a few photos to go along with our videos. 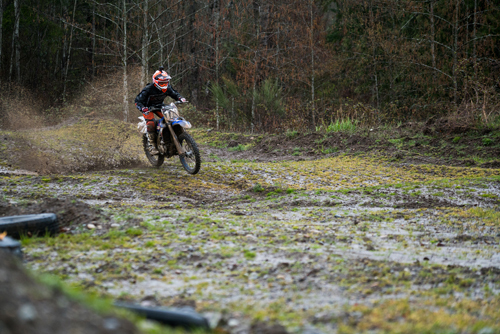 The riders then geared up and hit the rainy tracks of Bellingham Washington, which turned out to be excellent preparation for the rain to come in Seattle. Take a look at the photo gallery below to view some of the highlights of this exciting collaboration. RaceTrack Supercross is a video series offering unprecedented access into the assembly of the IB Corp Racing Team. Five hand-selected riders collide in Temecula, California to compete in a grueling competition of skill, stamina, and will. The rider that rises above the rest will earn a sponsorship worth $100,000 and a coveted spot on the IB Corp Racing Team. RaceTrack Supercross offers viewers behind-the-scenes access to the life of a professional rider, and all the trials and tribulations that come with training to be the best. Under the tutelage of head coach and manager Ryan "Ryno" Hughes, these riders will be pushed to both their physical and mental limits, with the winner earning the ultimate prize. This is the Anatomy of a Supercross Racer. This is Racetrack Supercross. 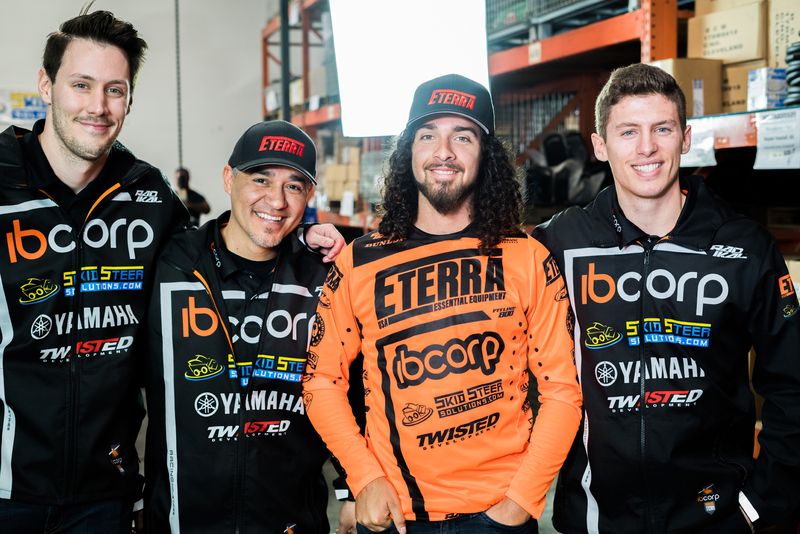 Tune in for the entire season of the AMA Supercross Championship and root on the IB Corp Racing Team as grind for glory in the West Coast Lites Division. Keep an eye out for Skid Steer Solutions and Eterra Attachments, as we'll be featured on team bikes, gear, trucks, and more. 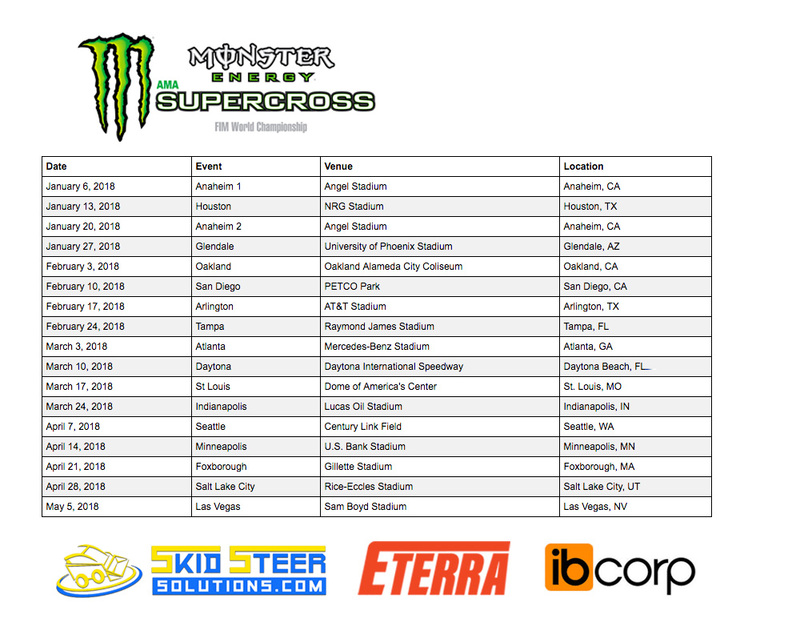 We'll even be in the stadium and in the racing pits at Anaheim 1, Houston, Seattle and Minneapolis. See you at the races!